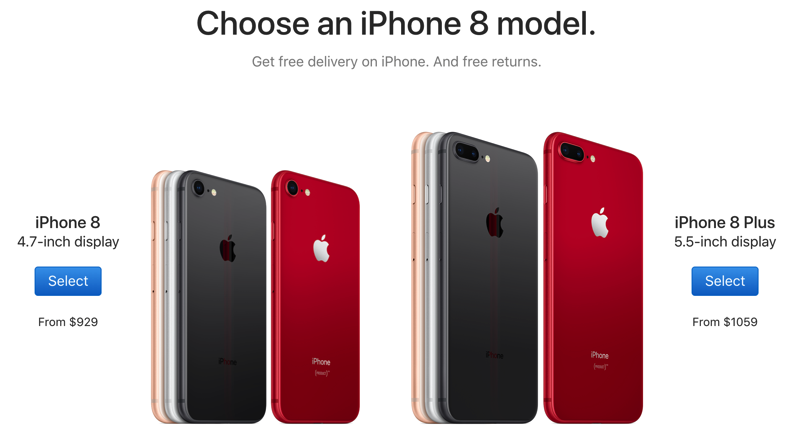 Apple has kicked off pre-orders for its iPhone 8 and iPhone 8 Plus (PRODUCT)RED Special Edition and iPhone X in Canada and other launch countries. Pricing starts at $929 CAD for the 64GB iPhone 8 and $1059 iPhone 8 Plus in (PRODUCT)RED, which was announced yesterday and launches this Friday, April 13. As of writing, online orders note delivery for April 16th based on our postal code, while no reserve and pick up information is available. 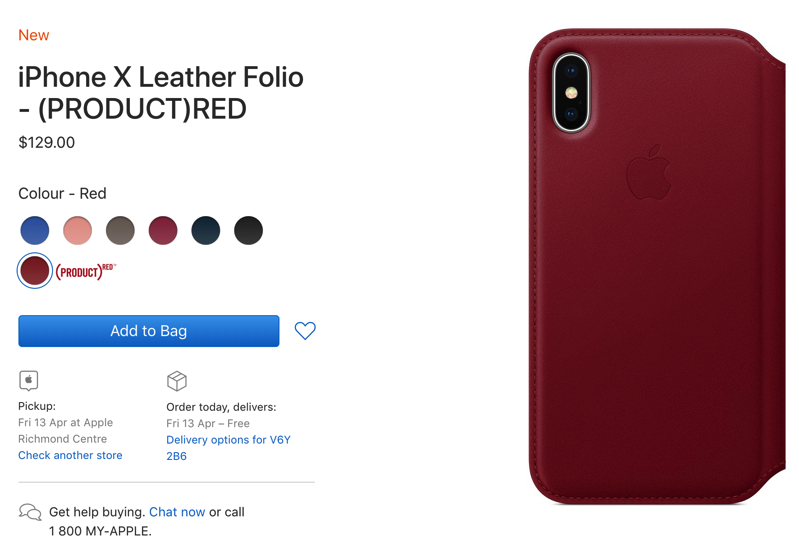 Also, pre-orders have similarly launched for the (PRODUCT)RED iPhone X Leather Folio, priced at $129 CAD. This case is showing as delivering on April 13 and also available for pick up at Apple Stores. Last year, Apple similarly launched (PRODUCT)RED for iPhone 7 and iPhone 7 Plus around this time of the year. Sales of those models stopped shortly after the launch of iPhone 8 and iPhone 8 Plus, and we expect the same to happen for this year’s (PRODUCT)RED line up as well. Are you picking up (PRODUCT)RED iPhone 8, iPhone 8 Plus or the iPhone X Leather Folio?